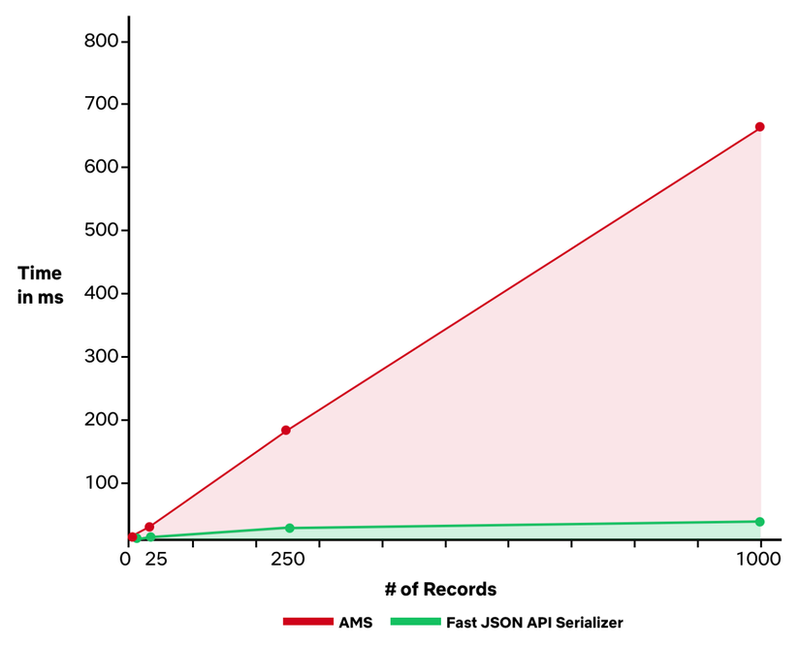 Fast JSONAPI is aimed at providing all the major functionality that Active Model Serializer (AMS) provides, along with an emphasis on speed and performance by meeting a benchmark requirement of being 25 times faster than AMS. The gem also enforces performance testing as a discipline. Right after you finish setting up your API Rails project, you only have to add the serializer gem to your Gemfile, gem "fast_jsonapi", and then run bundle install. Benchmark: Performance tests indicate a 25–40x speed gain over AMS, essentially making serialization time negligible on even fairly complex models. Performance gain is significant when the number of serialized records increases. Copy and paste the following code in the seed.rb file to create some seed data.